Huh. 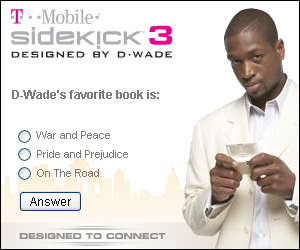 D-Wade designed the Sidekick 3 and his favorite book is by Jane Austen. See, I mistook him for a Tolstoy guy.